On today’s show, the crew talked about seeing Avengers: Endgame yesterday. On today’s Phone Jibba, Rick calls a landscaping place to try and get them to fix up his neighbor’s lawn without his knowledge or consent. On today’s Deal Breakers, Becky is very passionate about recycling and saving the planet. She’s calling because she’s been with Joe for a couple years now, and he’s been lying to her about his recycling habits. She’s caught him multiple times deliberating throwing something away instead of recycling it. Why is Joe acting like this? He promised he would do this Becky, and he’s been lying to her. Will this be a Deal Breaker? At 6:05, 8:05 and 9:05 answer 10 questions right in 60 seconds you could win $1,000!! Join us at 6:30 & 8:15 to listen to the latest Deal Breakers. Every weekday at 9:40 we play You Can’t Win. Get these 5 extremely difficult questions right and you’ll win $1,000!! Q: 45% of millennials always end up doing what when they are working on a do-it-yourself project? Q: 3 men are on a boat. The boat sinks, but only 2 of them get their hair wet. Why? A: The third man is bald. 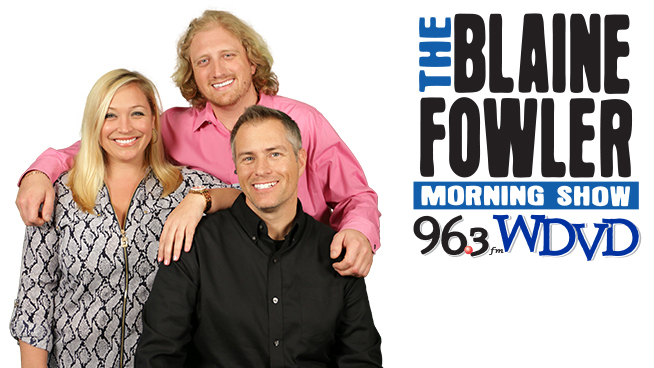 Listen everyday at 7:35 for your chance to win Blaine’s Brain Buster!! See if you can guess the 9 O’Clock Riddle to win some great prizes!